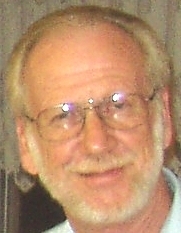 Dean Warwick, alternative energy pioneer and researcher, collapsed and died on 7 October, 2006 while speaking at Probe International’s conference in Blackpool, England. Originally from New Zealand - born of an MI6 operative - but lately resident in Scotland, Warwick had initially served in the New Zealand Army and was aware of the use of directed energy weapons to destroy targets, even buildings, as long ago as the 1970s. Warwick had promised interviewer Dave Starbuck that he would make some very significant announcements at the conference concerning the murder of Bobby Kennedy, the identity of the “Anti-Christ”, and the connection between underground bases and hundreds of thousands of missing children. Warwick had reached the point in his lecture when he stated he would next reveal who was behind Bobby Kennedy’s murder. However, he never did. Instead, he said, “Bear with me for a moment”, leaned with his left elbow on a nearby table with his right arm across his body, and then fell flat on his face. Shortly afterwards he was pronounced dead. Warwick was aged 62 and was in good health. Shortly before he began his presentation, he said he felt a “beam” or “burning” at the side of his head, and conference organisers said he had spoken of having had a premonition that something “would happen”. For a recent audio interview with Dean Warwick, please click here.